Was China the reason why the Copenhagen climate talks had so little success? Is China now a climate leader? Sam Geall investigates. Ed Miliband was Britain’s Energy and Climate Secretary in 2009. After the UN climate talks in Copenhagen he said, ‘We did not get an agreement on 50-per-cent reductions in global emissions by 2050. We did not get 80-per-cent reductions by developed countries.’ He said that the developed countries and most of the developing countries wanted the agreement but China said no. The talks ended with a weak climate deal and the feeling that China, the world’s biggest CO2 emitter, was the problem. In reply official news agency Xinhua wrote, ‘China was very sincere, tried its best, and was very positive.’ State media articles said that Chinese Premier Wen Jiabao did not embarrass US President Obama during last-minute talks to save the deal. It’s unlikely that China wanted a bad deal. It’s more likely that the Danish hosts and others did not understand its diplomatic customs. At that time Chinese policymaking involved a long period of bargaining with a small number of important players. It is unlikely that Premier Wen had any support from his own country to make a deal, even if he wanted to. But today people see China differently. Now there are two questions. Has China really changed its position? And did international pressure help to change its ideas? First, let’s look at the change in China. In 2009, the country wasn’t ready to set a ‘peak year’ on its greenhouse gas emissions. In 2015, China’s promise to the UN talks included: a peak in total emissions by 2030 or earlier; a cut in its carbon emissions by 60 to 65 per cent by 2030; and the use of green energy up to 20 per cent by 2030. China has shown it is changing and it has real ambition. Increasing the use of green energy by 20 per cent over the next 15 years means adding as much electricity as all of US electricity. Its plans include 200 gigawatts of wind power and 100 gigawatts of solar power by 2020. But on the second question, the pressure for China to act on climate change seems to come from China itself and not from other countries. China’s climate agreement with the US last year was very positive. But China doesn’t seem to want to please the US, or any other country in other areas from the South China Sea to cybersecurity. In fact, Western pressure seems to have been negative. 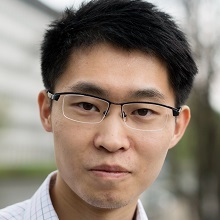 Activist Dale Jiajun Wen wrote in 2012 that it is likely that people like Mark Lynas and Ed Miliband have done more to give a negative view of China’s concern for climate change than all the Western climate change sceptics together. China’s President Xi Jinping is a powerful leader. He is less restricted by the Chinese Communist Party than the leaders before him. And so for him changing China’s economy is very important. He describes the change from industries using high energy to new ideas and services that give better quality, slower growth as the country’s ‘New Normal’. This may come from his long-term economic plan for China’s future. Exporting new technology is very important. But it’s also likely that it comes from the way the public sees things especially the way it sees the Chinese Communist Party. After a week China’s censors took the film from the web. 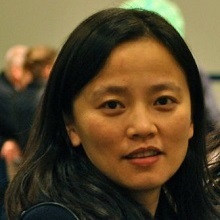 Chen Jining was an environmental engineer and a university president and is now China’s new Minister of the Environment. It is interesting that the film was taken from the web after Chen Jining praised the film and said it showed ‘growing public concern over environmental protection and human health’. Chen Jiping was on the CCP’s committee of political affairs, In 2013 he said that there are about 30,000 to 50,000 protests every year in China. Most of them are protests about the environment. Environmental issues have also helped to give ideas to many Chinese activists. Official statistics say that China had more than 561,000 registered ‘social organizations’ or NGOs in June 2014. Many are interested in the environment, and we think many thousands or millions more groups are unregistered, or registered as businesses. The future of these groups is often uncertain.. In 2014, a national security committee led by President Xi ordered an investigation into international NGOs in China or Chinese NGOs with foreign money. So NGOs are under more and more investigation because they seem to have foreign support. But there are other more positive signs. 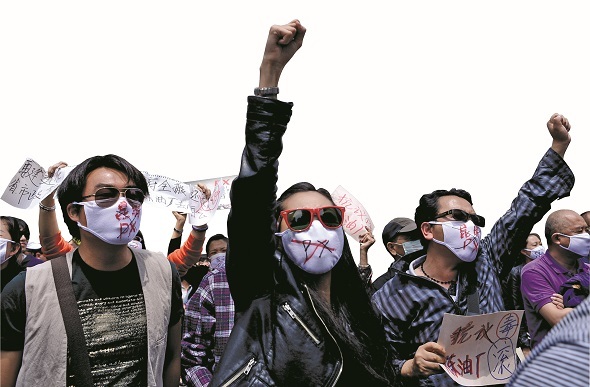 China’s new Environmental Protection Law says NGOs can bring legal cases against polluters. And new rules on the environment should make it more difficult for local officials to break environmental regulations. Will all this be enough? China is still the world’s biggest greenhouse gas emitter and the change from fossil fuels will not be easy. To limit warming to two degrees Celsius, the International Energy Agency thinks China’s carbon emissions need to fall by about 80 per cent below 2005 levels by 2030. This is 20 percent more than planned.Many people think China’s emissions will peak earlier than the official target. With falls on the stock markets, China’s leaders think building towns and overseas expansion of its companies is very important for more economic growth. Will all of this mean high environmental standards, or will it mean high-carbon growth? For China’s climate policymakers and its concerned citizens, Paris might not be a new start for the international player but more like the beginning of a long and difficult road. 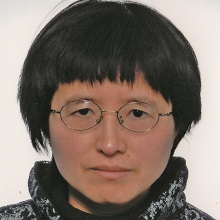 Sam Geall is a Research Fellow at the Science Policy Research Unit (SPRU), University of Sussex, and Executive Editor of China and the Environment: The Green Revolution (Zed Books, 2013). It is very good that China’s climate policy is getting better. But it is wrong to see China as the bad person at Copenhagen, which has now changed. China’s middle class would be very unhappy if by mistake they thought China’s climate actions were because of Western pressure. Many of China’s leaders have a science and technology background. And so the government takes climate science very seriously. They probably take it more seriously than the US government with its many lawyers. And, food security and energy security are very important for the government and they are linked to climate change. Chinese social movements still have a long way to go. The popular documentary film Under the Dome shows the problem of air pollution really well. But it suggests as a solution more oil and more gas so China can use it in the place of coal. This is not very progressive. Many of China’s new middle class think they can have a wasteful lifestyle like the Americans. They complain more and more about pollution but they do not think about what they are doing to make it worse. The environmental movement in China has not yet acted on this. I think the, positive policy changes come from problems on the ground and from some progressive technocrats who try to solve them. The difference between now and six years ago in Copenhagen is that China is closer to a change in domestic energy. Coal is still the most important part of domestic energy. But a point where things must change is with us now. It was impossible to imagine that a few years ago. Use of coal went down in 2014 by 2.9 per cent. The fall will continue this year and a bigger fall is possible. This is important for global climate because nearly 80 per cent of China’s energy emissions come from coal. Pressure from home and abroad are changing China’s position on the climate. The problem of air pollution is now the biggest reason for action, and most of the pollution is from coal. China has also made environmental protection more important than any other problem. We will see a strong need for China to act on coal. China is the world’s biggest carbon emitter but it does not need to feel guilty. China has a big population and this has needed a lot of building. China suffered from overproduction in the past but for the last two years the central government has changed China’s economy from investment to growth through new ideas. This page was last edited on 14 November 2015, at 13:03.